Fish feed pellets are the popular feed in modern commercial fish farming, providing balanced nutrition needed by fish stock and improving fish farm environment. Due to high price of feed pellets on the market, many farmers tend to purchase fish feed extruder to produce pellets by themselves to low the cost. 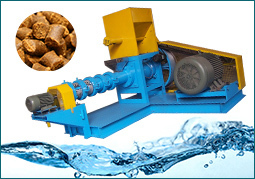 Here dry type fish feed is recommended for feed pellet production, which is the the specialist contributing to high quality floating fish feeds without steam conditioning of the raw material. 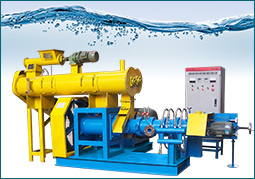 With advanced single screw extruder by belt drive, floating fish feed machine is the ideal device in small and medium size feed processing plants and aquafarms. 1. 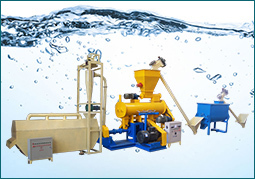 The fish food extruder is widely used for producing floating feed pellets of all kinds of aquatic animal, sinking and floating aqua-feed pellets both can be made just by adjusting feed formulation. 2. Different molds can be chosen to make pellets with different diameters (0.9-15mm) and shapes. 3. Advanced technology and humanized design ensures easy operation and reliable performance, high efficiency, low power consumption. 4. Electric heating device is adopted to improve the feed expansion rate and pellets floating time. 7. 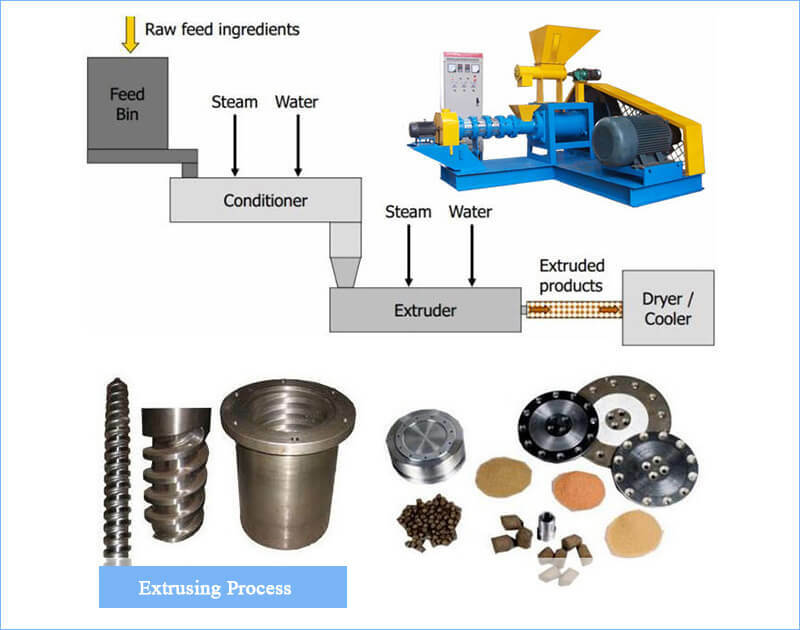 Dry type fish feed extruder does not need the steam boiler, so the dry type pellet machine is cheaper and easier to use and operate compared with wet type pellet machine. 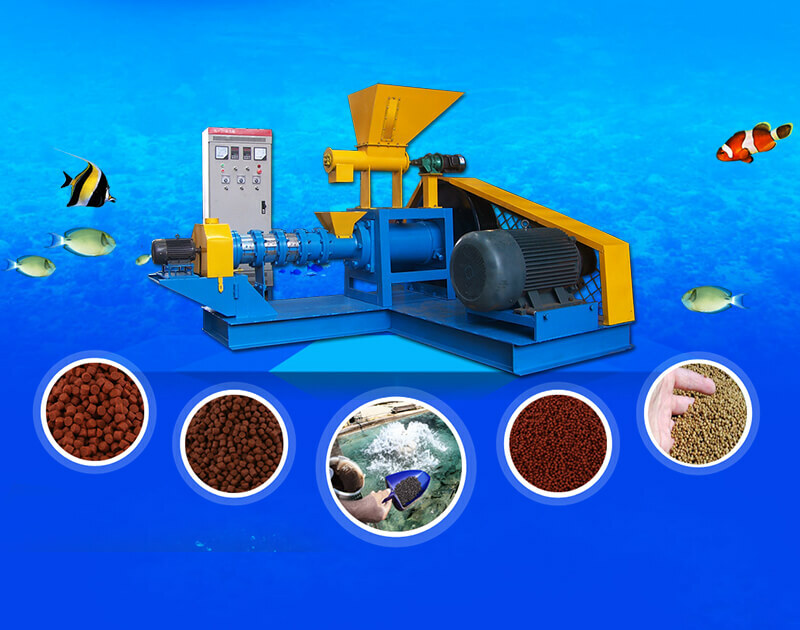 1.Dry type fish feed extruder does not need the steam boiler, so the dry type fish feed pellet machine is cheaper and easier to use and operate. 2. 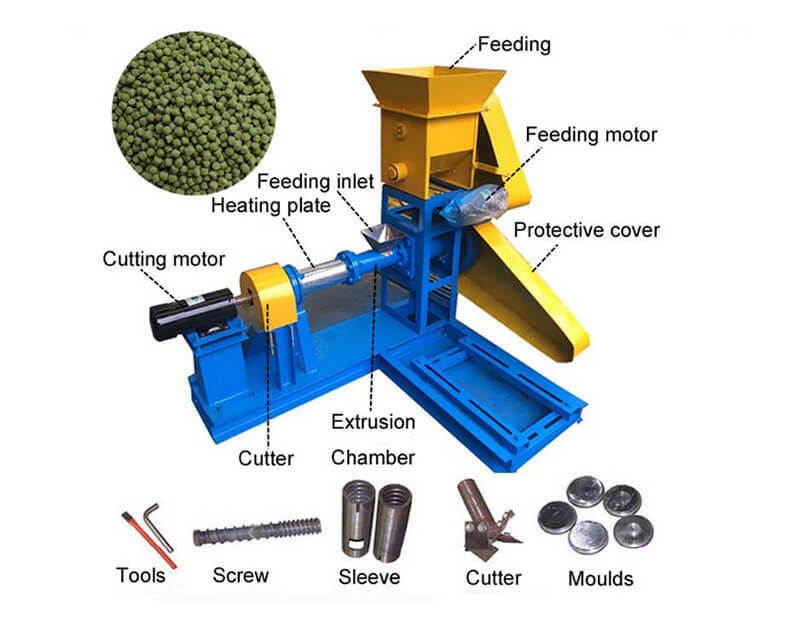 The feed pellet made by wet type fish feed pellet machine is more smooth and with better quality because the material is ripen and mixed enough in the conditioner compared with the dry type extruder. 3. 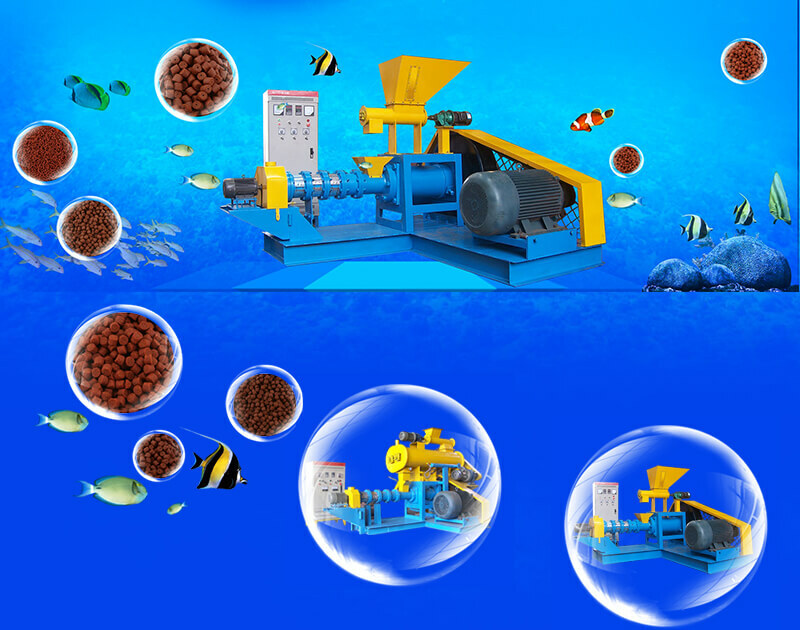 The capacity of the dry type feed pellet machine is lower than the wet type fish feed pellet machine, so usually the dry type fish feed pellet machine is better and economic for the small and medium size user or factory. ●Storage: can be kept for two to three months when stored in a covered cool dry place. ●Hygiene: expansion process can eliminate most bacteria. Low moisture content (about 10%) can prevent bacterial growth. ●Nutrition: can be added with animal or plant protein, fish oil or other fats, vitamin complex and minerals required by specific fish species. It is highly nutritious and can effectively improve the health of fish stock. ●Environmental impacts: using pellet feed of appropriate size and density can lower the loss rate and significantly mitigate the environmental pollution caused by the feed residues. Notice: Pellet feed of different sizes and densities can be made to accommodate the needs of species in various growth stages and with different babits. By using pellet feed of the appropriate size and density, loss rate and environmental pollution caused by the feed residue can be significantly reduced. 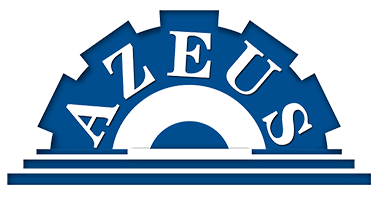 There is no need to heat outside the dry type machine, through the screw extruding of the raw material, heat is produced and gathered during the rotary working process in the airtight environment, and during the high temperature ripening process, the starch and fiber of the raw material become swell. Then under the pressure-tight condition, material will be formed into pellets by shaping mould. At the end, through the high pressure produced by the regular rotating of the screw, after being cut by the forepart cutter which rotates regularly and high-speedily, the finished products will be shrunk and become small average puffed balls in room temperature and pressure.